"We are surprised and inspired by his bravery." Whenever David would disobey his trainer, he'd get hit. 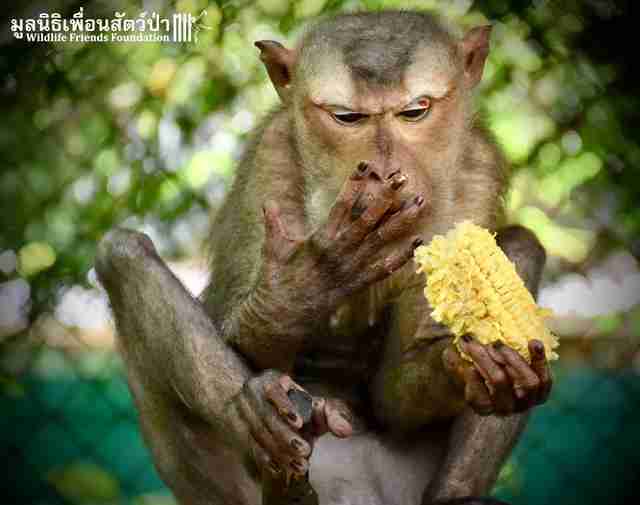 This went on for years for the 9-year-old northern pig-tailed macaque, who was forced to perform circus tricks, like riding a bicycle and spinning strips of wood lit on fire, in Southern Thailand. 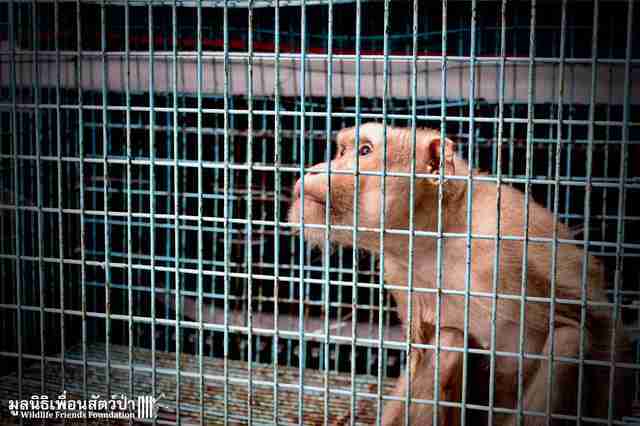 When David wasn't performing, he was chained around his neck and kept in a trash-filled cage. 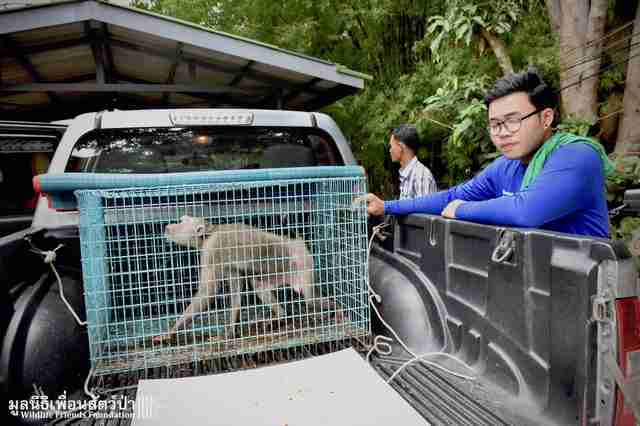 This is how the rescuers from Wildlife Friends Foundation Thailand (WFFT) found him when they arrived to save him this week, after tourists negotiated with his owner and arranged for David's release. "This poor soul has lost almost all his hair," WFFT wrote. "Years of beatings for disobeying his trainer have rendered him blind in both eyes, he can detect only light and shadows. We are surprised and inspired by his bravery." David wasn't the only one to be saved. 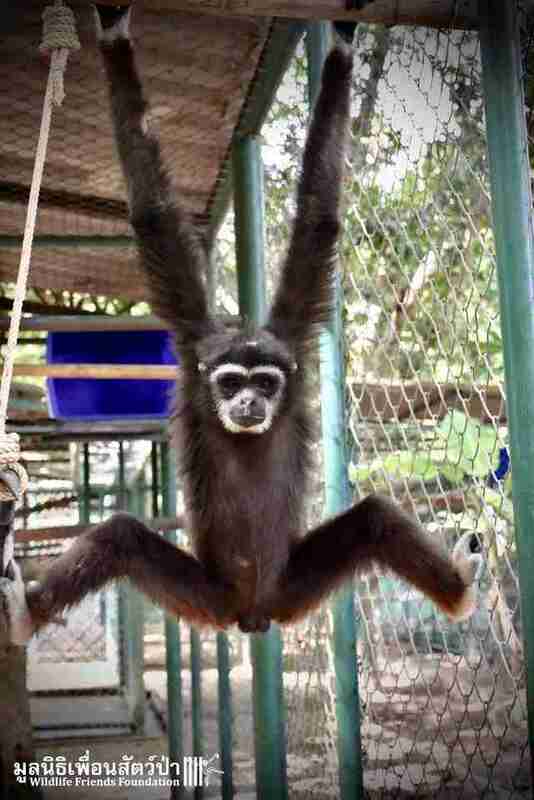 The tourists also helped convince the circus to release King, a 12-year-old white-handed gibbon. Both David and King had been stolen from their families in the wild years ago. King was sold to the circus as a photo prop for tourists to pose with. But King hated this kind of life. "King started to become aggressive and could no longer be handled by tourists, he continued to be beaten until his release yesterday," WFFT wrote. "He spent 12 years in a [small] enclosure, with nothing to protect him from the elements, nothing to climb on, no social interaction and only a bare concrete floor to sleep on." 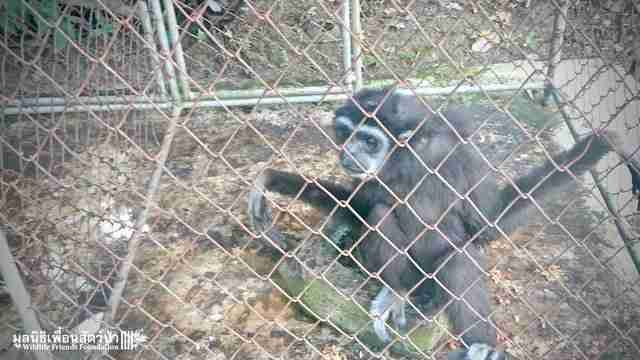 David and King were some of the worst cases of animal abuse WFFT has seen. 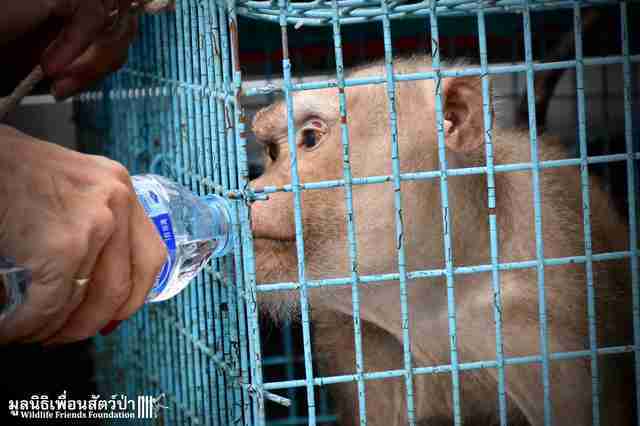 Rescuers hurried to bring both monkeys to the WFFT rehabilitation center where they can start learning what it feels like to be monkeys again. 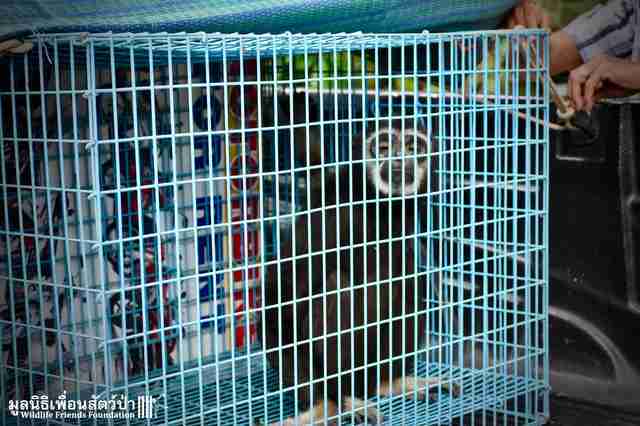 They were examined by WFFT veterinarians when they arrived, and then they were welcomed into their new home. 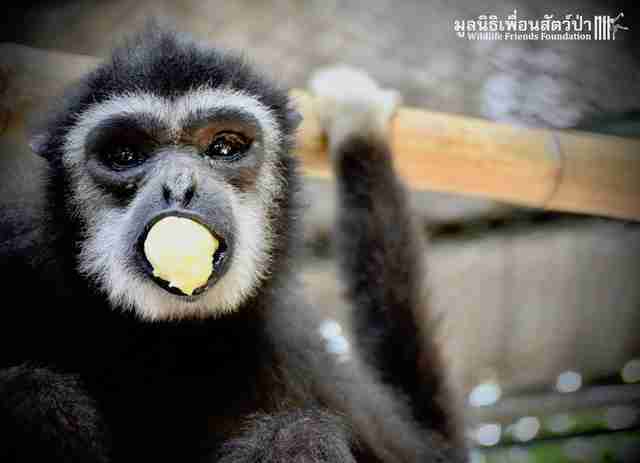 "They are currently settling into their new lives in the quarantine area at WFFT, under the close observation of our team," WFFT wrote. Rescuers gave David and King, who were both severely malnourished after years of mistreatment at the circus, special, healthy treats — corn on the cob and bananas, respectively — and they quite obviously enjoyed them. 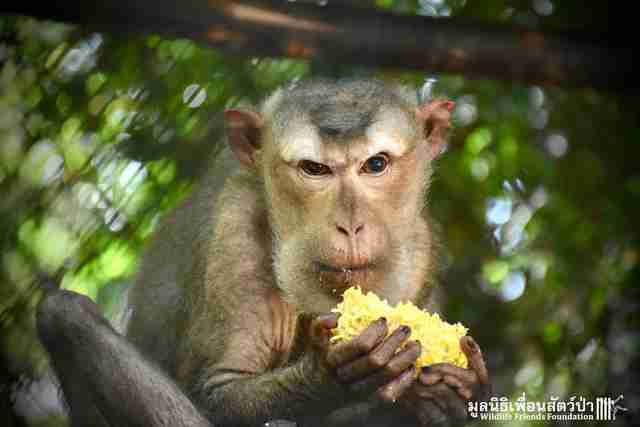 Slowly, the monkeys are starting to feel more at home. But it will take them a while to recover, most likely. "Years of systematic abuse and beating has broken their souls," WFFT wrote. "You are safe now boys, no more beatings, no more pain, your freedom begins here." There's a lesson to be learned from David and King's rescue — one that can help prevent animal abuse in the future. "Think again before you consider visiting such places while traveling in this part of the word," WFFT cautions. 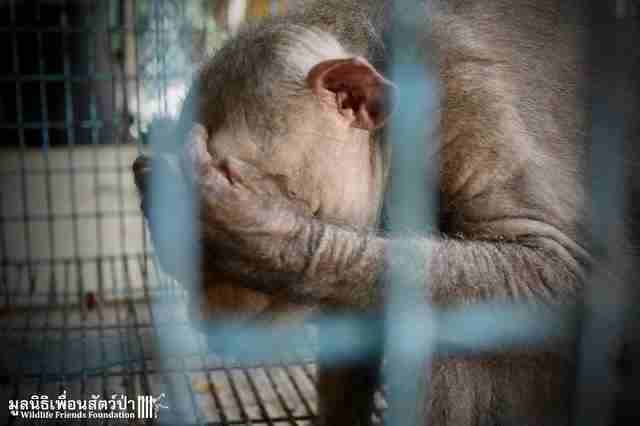 "When you do, you are supporting this abhorrent cruelty towards animals. If the demand stops, the abuse goes with it." To help WFFT save more animals like David and King, you can make a donation. 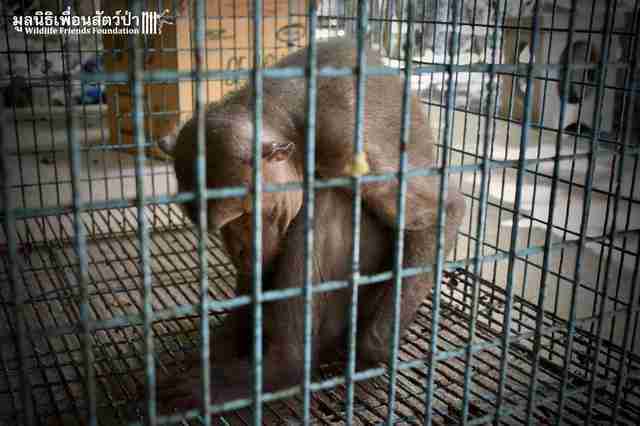 You can also share this story to raise awareness about the conditions of animals in circus shows overseas.